Love may, indeed, love the beloved when her beauty is lost: but not because it is lost. Love may forgive all infirmities and love still in spite of them: but Love cannot cease to will their removal. 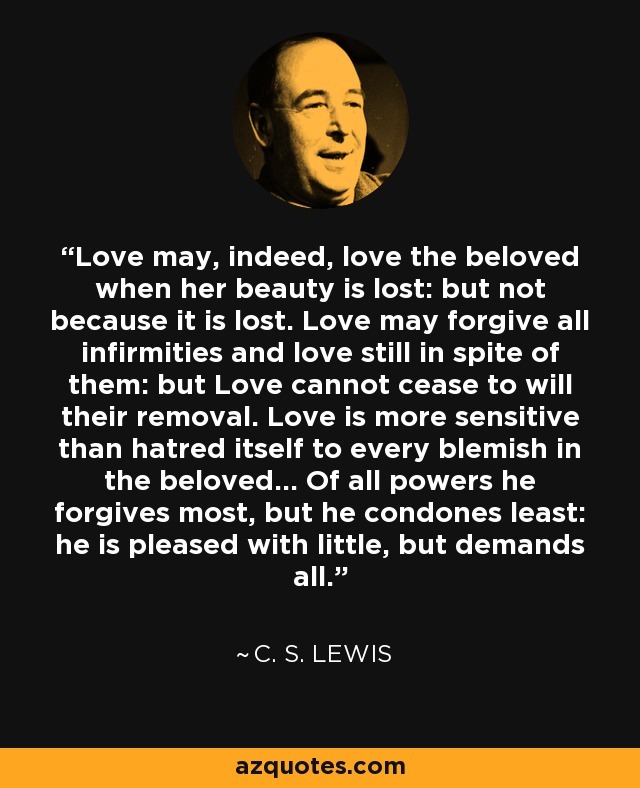 Love is more sensitive than hatred itself to every blemish in the beloved… Of all powers he forgives most, but he condones least: he is pleased with little, but demands all.